Cleansing is my favourite skin care step and one that I think can make the most difference to your skin. I've currently been enjoying using the L'Oreal Purifying Miceller Solution to remove my make up and following up with REN ClearCalm Clarifying Clay Cleanser. My only gripe with the L'Oreal solution is that it doesn't remove my waterproof mascara and I go through way too many cotton wool pads. 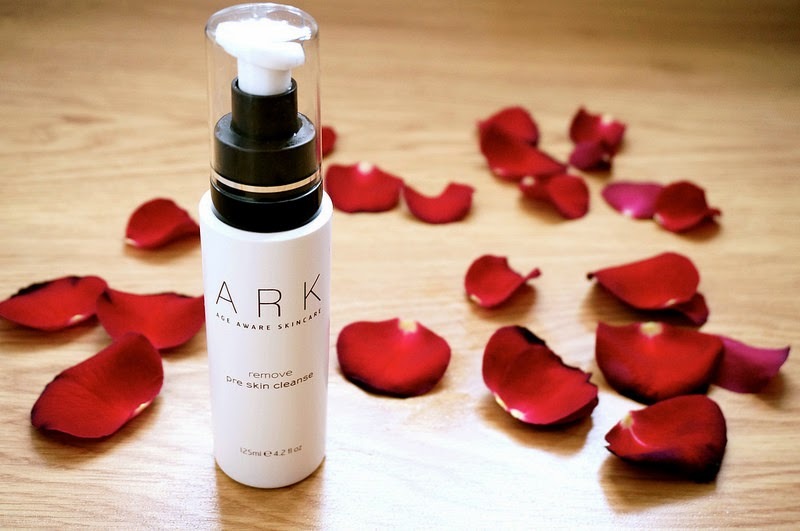 So as an welcome alternative I've been using ARK Remove Pre Skin Cleanse* and have been happy with the ease and gentleness of this remover on my combination skin. 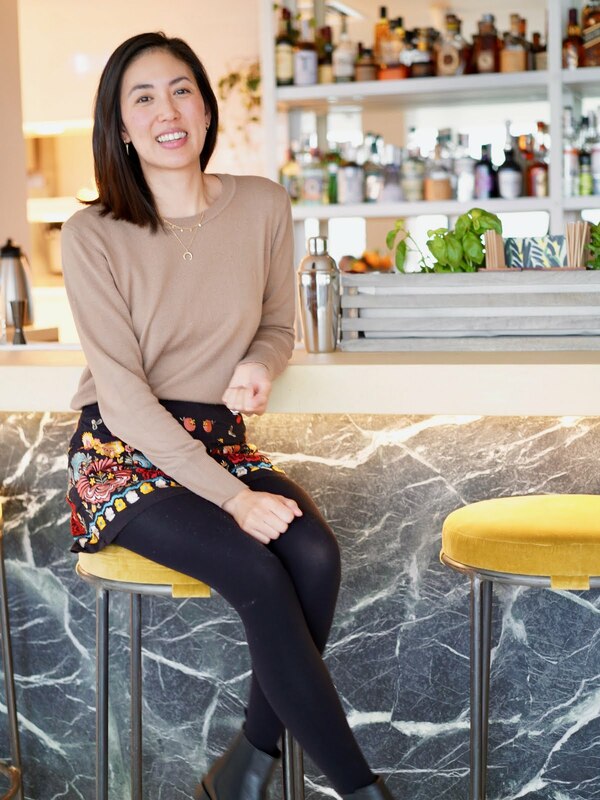 My skin doesn't feel clean unless I do a double cleanse, so the ARK Pre Skin Cleanse is an ideal first step in dissolving daily grime, excess sebum and makeup. I use 1-2 pumps of the oil onto dry hands and massage over my dry face and around my eyes, gently loosing any eye makeup. After my makeup is dissolved I add warm water to create an emulsifier, then rinse off. I was pleasantly surprised when my flannel came away clean, my face felt soft and plump and waterproof mascara all gone. It didn't irritate or dry out my skin and felt noticeably replenished. The oil is light and easy to massage onto you skin without feeling greasy, it actually feels soothing to use as well as packed with natural nourishing ingredients - Grape seed, Avocado and Kiwi Oil. The light scent of essential oils also makes it smell pleasant to use. I didn't have any high expectations of this product but the ease and effectiveness of this product has won be over. Call me lazy but it takes around 4-5 cotton pads to remove all my makeup when I use micellar waters - so anything that can do the job in half the time works for me! Unlike some cleansing balms, which you have to mould and work into you skin, this oil is ready and good to go in loosening daily grime from your face. I like the pump but I'm not a big fan of the packaging, the glass top has already cracked and I wouldn't feel comfortable travelling with it as I feel the oil would leak. It's £25 for 125ml available from the ARK website, which is expensive but you definitely get enough pumps to last you for a good few months. With micellar waters, I go through countless bottles as I find you have to dispense much more product every time you use them in comparison to this oil. I like how this product leaves my skin feeling plump and replenished ready for my cleanser and I'm pleased I've come across this product. 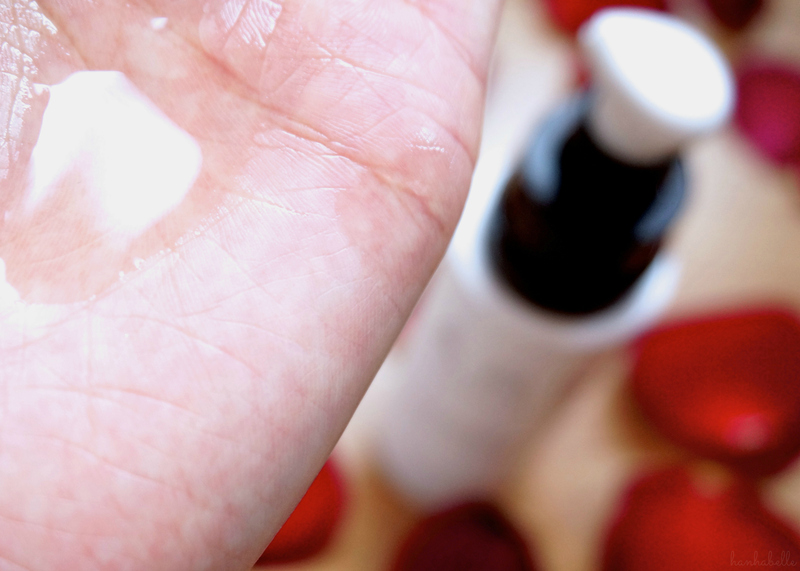 What make up removers do you use? * PR sample, all opinions are my own.